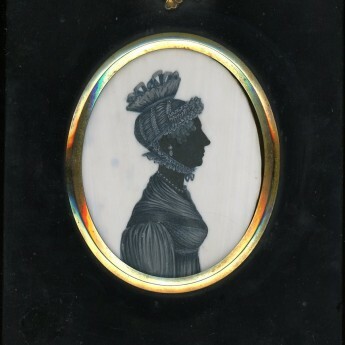 A Georgian silhouette showing an elegant and fashionably dressed lady. Her high-waisted dress has a narrow waist band and gathered sleeves and is worn with a fill-in on the bodice. She has a beaded necklace, jewelled earrings and a pretty cornet cap topped with ribbon bows and fastened under the chin. 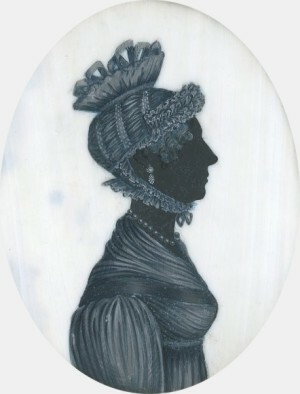 The silhouette is finely painted on ivory with the costume painted using shades of grey watercolour with touches of Chinese white and a hint of blue. Gum arabic has also been used to create more detail. Although it lacks a trade label, the style is distinctively that of T. London whose profiles never have a bust-line termination. Frame: Set in a traditional papier-mâché frame with an emblems (rose, thistle and shamrock) hanger. Little is known about the artist T. London who worked first in Kidderminster and later in Worcester. 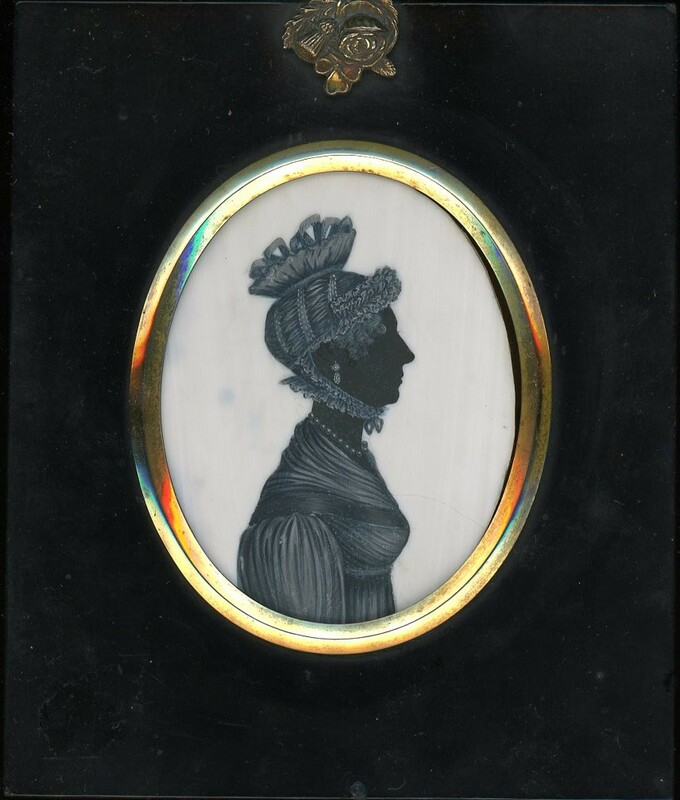 He was one of only a handful of artists who painted cabinet silhouettes on ivory. According to his trade label a profile on ivory would have cost the sitter ten shillings.